Grant joined HICX Solutions in April 2014 and brings 10 years senior management consulting experience specialising in supplier data. 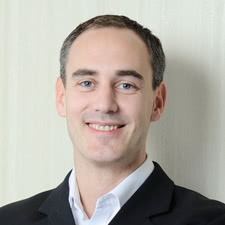 Previously with PRGX, Grant was the Principal Consultant for Europe and Asia Pacific focused on P2P, master data management, and analytics. In this role he designed and delivered supplier master programs for large organisations across Europe, Asia Pacific and the Americas; led the development of an insight practice to identify data driven opportunities for clients to realise new value in their supplier relationships; led an analytics team of 40 as the global analytics director delivering services utilised by merchandising, procurement, finance and compliance functions; implemented numerous spend analysis services for multi-geographic clients in retail, banking, energy, industrial, professional services and government sectors; and designed a revenue assurance program which reported £10m in year one savings. Grant is a previous speaker at eWorld (UK) and SSON (Singapore), holds a Master’s Degree (MSc) in International Business, is a Prince2 practitioner and holds certificates from the Institute of Financial Services and the Chartered Insurance Institute. HICX is the leader in providing Supply Base Management (SBM) technology and Business Process Outsourcing (BPO) solutions that help customers across the globe reduce costs and mitigate risks. Their integrated suite of technology solutions for Supplier Onboarding, Supplier Master Data Management, Supplier Management, Supplier Risk and Performance Scorecarding, Supplier Compliance and Supplier Cockpit are successfully used by organizations across a wide range of industries.